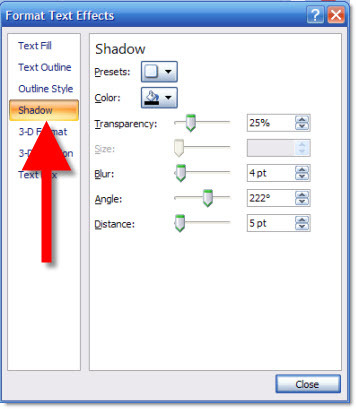 There are lots of great Photoshop quality effects that can be easily created in PowerPoint. Here is how I create a cutout effect for text. 1. Here is our sample text. Just black text. 2. I change the text color to white. 3. Then apply one of the preset INNER SHADOWs. 4. I modify the preset settings to be darker (transparency), less blur, more distance. 5. 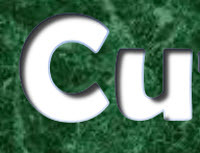 Here is my text now with the cutout effect. 6. Finally, here is the same text set on top of a textured background where it really shows the cutout effect. – I have a great laptop! – I hooked up the projector (via VGA or DVI cable). – I clicked the Function + F4 keys. – Nothing happened, my presentation would not show up! It happens and there are technical complexities, but I run anywhere from 1 to 12 computers outputting to projectors for any given meeting. Here is my approach to assuring the presentation shows up on the projector (note: the following tutorial is based on the Nvidia Control Panel as most of show computers currently run their graphics cards). 1. First, I do not use the Function+F4 key. This is just a shortcut to the control panel that does not show me any of the real settings. 3. 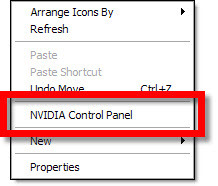 This opens the Nvidia Control Panel. From here you can see and adjust every aspect of how images are put onto any monitor, or projector, connected to the computer/laptop. 4. I first go to CHANGE RESOLUTION. I can quickly see on the right if the computer ‘sees’ the 2nd monitor/projector by the two display icons. A. Check cable is plugged into computer. B. Check cable is plugged into projector (or switcher). C. Verify projector is powered on and set to correct input. D. If using a docking station for the laptop (as I do), check docking station has power by checking power supply has light, is plugged into dock and dock has power lights (video out from all docks is not passive and will not work if dock does not have active power). 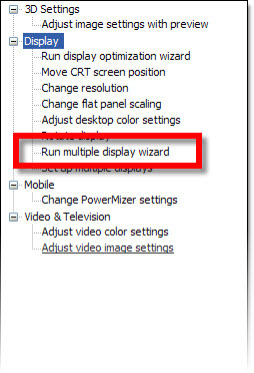 E. Run the RUN MULTIPLE DISPLAY WIZARD to force the graphics cards to identify and recognize the external monitor. 6. 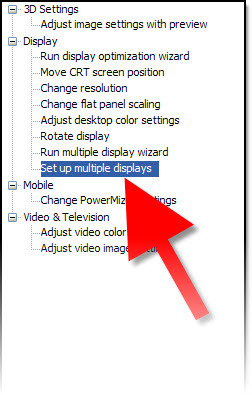 To setup a projector I go to the SETUP MULTIPLE DISPLAYS option. 7. On the right I can tell the computer how I want to use the projector. 9. Then go back to CHANGE RESOLUTION. 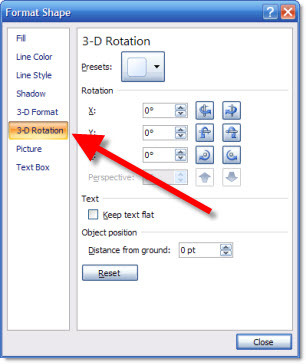 Now the focus is on the resolution setting on lower part of the right side. This number has to be set to match the projector’s resolution. 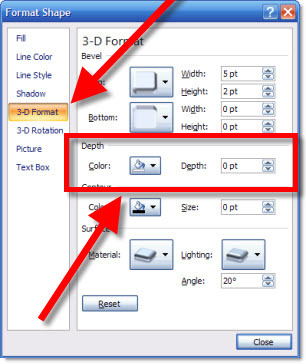 – If the resolution is set to high, the projector may be unable to use it (and will display nothing). 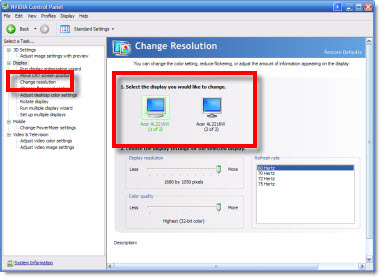 – If the resolution is set to a widescreen format (as many laptop monitors are) and the projector is not widescreen it will either compress the image or add black letterbox bars (neither is a good option), so the resolution will need to be set to a 4×3 aspect ratio (eg. 1024×768 is the most common). 10. Click APPLY, exit the control panel and get on with the presentation – yeah! I just wrapped up a quick project where I created a custom installer that created a folder, added presentations and videos, added shortcuts and an uninstaller. All pretty standard stuff, but I always test everything to make certain all works before a client distributes it. Well, I discovered an error with my coding. Actually all ran perfect except the uninstaller did not uninstall… hmmm, not good. I figured out the problem, edited the code and all worked perfect on my next test. Time to send to client – yeah! Then I remembered this little (265k install) application that I installed long ago and is just waiting to be used. Unlocker does exactly what it says. It unlocks a file, or folder full of files this time, and allows me to delete it – yeah! It is a handy utility that is a solution to otherwise frustrating occurrences. Oh, and it’s free (donation option). Here’s the Unlocker website. 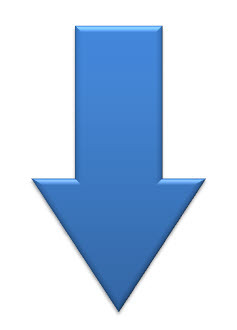 I took that direction, the official logo, some online research on (… have not followed professional wrestling a lot) and the final result was this template. 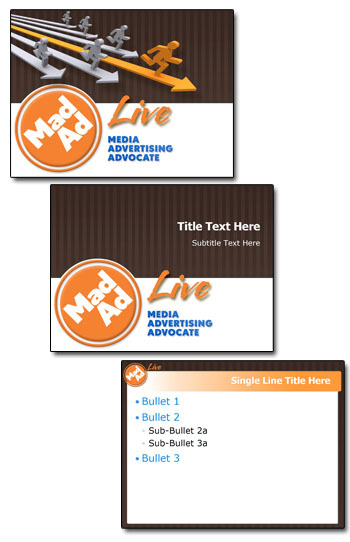 Mad Ad Live is not the conventional advertising company and they required a PowerPoint template that visually conveyed their own style of sophisticated but ready to break the traditional rules. Presentations are visual communication and that means lots of images. I maintain a number of subscriptions to online stock photo sites. 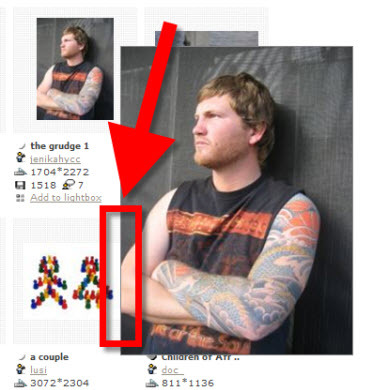 The one thing I see from all is the selective/artistic cropping that often makes it difficult to use an image. I get this question a lot – even from people that have been using PPT 2007 for awhile. “where is my insert shapes?” It is obvious, but we get used to things being a certain way and when it changes we overlook things. 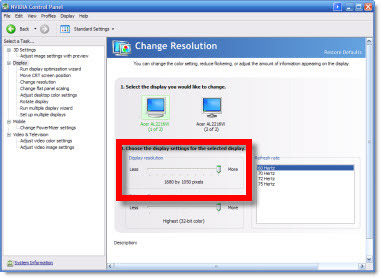 This also happens most often when the computer is hooked up to a projector, where the screen resolution is reduced to the projector resolution (eg. 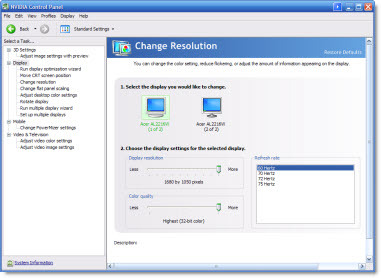 my monitor is 1900×1200 but most projectors are lower at 1280×1024 or 1024×768). I develop PowerPoint presentations for large events that do not look like ‘standard PowerPoint’ with lots of animation, custom images, etc. I have also used the OfficeFX software for lots of events and awards shows because it takes PowerPoint to a new visual level with full motion backgrounds and custom transitions. Recently a The Lawrence Company used the new Presenter 4 to produce a multi-screen HD show for a Fox TV event that was anything but ‘PowerPoint’ – although the whole thing was PowerPoint. Here is link to video showing some of the great custom transitions and animations. Sometimes you just discover things by accident. As example I did a video search using Bing! and discovered that if you roll your mouse over any of the thumbnail images it plays the movie in the thumbnail without going to the webpage – very cool! 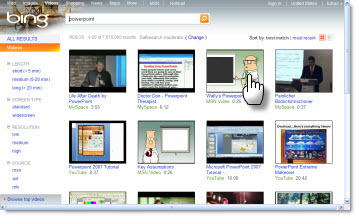 Here I did a search for “PowerPoint”, clicked the ‘video’ link at the top and was able to view all by just putting my cursor over it. 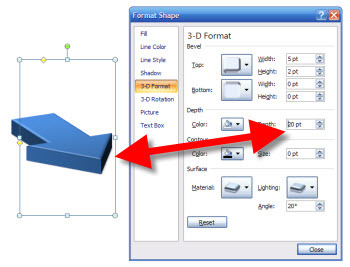 PPT 2007 has some create functions for converting even the simplest shape into a 3D element. But there is some interaction of features needed to create the effect. 1. 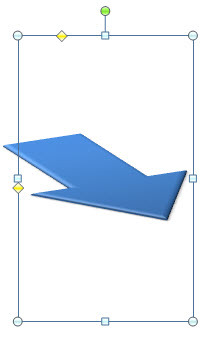 Here is my sample arrow with some stylizing applied. 7. 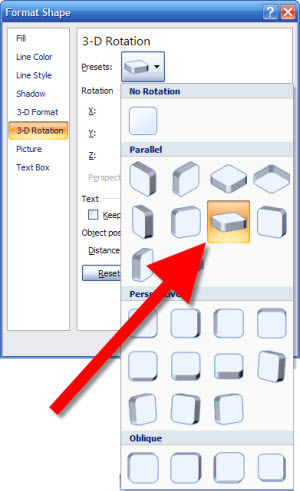 This menu has live preview, so as you adjust the shape will update. For my I increased the DEPTH to 20 points for my final image.